DIGI-CARDS TO OFFER FREE SHIPPING WORLDWIDE. The worldwide leader in multimedia download cards now offers free shipping to any point around the Globe. 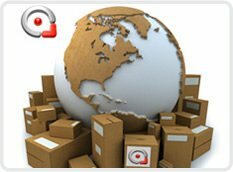 With a new alliance with suppliers and shippers, every order of Digi-cards will be shipped for free for clients to all continents in the world. "This deal will put our company in the forefront of worldwide commerce; our production team, suppliers, and shipping logistics are equal to some of the Fortune 500 companies" Manuel Fimbres, COO of Vital Digital LLC. "Our product will ship from our suppliers and get to the hands of our clients in 2 to 4 transit days worldwide" he added. This deal includes shipping on orders from 500 to 150,000 Digi-cards via air. 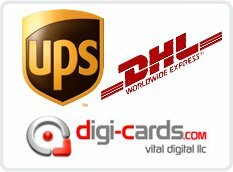 Vital Digital LLC will use DHL for most of its small orders and UPS for orders of more than 20,000 Digi-cards. Vital Digital LLC, parent company of Digi-cards, and all of its products are the worldwide leaders on multimedia download cards, patents pending. 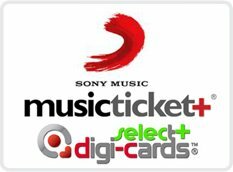 SONY MUSICTICKET+® LAUNCHED WITH THE NEW DIGI-CARDS+SELECT SYSTEM. These past two months, Latin America was introduced to the new musicticket+® during some of the label′s top recording artists′ concerts. Digi-cards provided the technology by introducing the new Digi-cards+select system. Hundreds of thousands of musictickets+® were distributed in Mexico and Central America during the concerts; the system worked better than expected with less than 0.01% of customer technical support requests. The new Digi-cards select+ system allows an end user to access the download gateway, listen to a menu of songs of the artist, and allows them to download a predetermined amount of songs set by the label. This system allows the possibility of self promotion of new albums before they are released and allows end users to download older songs. After the successful performance of Digi-cards+select, Vital Digital LLC will move on with further developments & add-ons to make the customer experience even better. Digi-cards is the world′s leader patent pending music album download cards manufacturer. 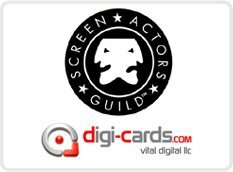 Digi-cards will be offered to all SAG (Screen Actors Guild) Members at a 20% Discount. Joining the AFTRA promotion offered last month, Gerardo Alton Ortega, CEO of Vital Digital LLC, announced that SAG and its members would benefit from the Multimedia distribution system that Digi-cards offer and is very happy to be able to offer this special pricing for life to all members in good standing. This benefit will start in September of 2010; members will have to note it when requesting a quote. Digi-cards are the world leaders in multimedia download cards with patents pending. 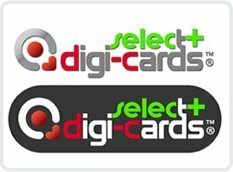 Digi-cards officially launch today the new and awaited "+ Select" system which again will put Digi-cards ahead of the game as the most innovative download cards in the world. The new Digi-cards+select system offers its clients a new download gateway where each client can let end users preview a list of files (music, video, images) and allow them to "select" the ones they want to download. Digi-cards+select will allow artists to upload a library of songs and let their end users download a predetermined amount of songs based on the Digi-cards value or allowance. Digi-cards+select will open hundreds of opportunities to clients. The system has already been in beta testing and has been in operation for a couple of months with one of its users being the Sony/BMG Music Ticket Plus. The 250 MB Digi-cards will allow up to 60 files for preview under the Digi-cards+select platform and the Digi-cards 2.5GB will allow up to 120 files; clients then allow a predetermined number of downloads from those files. There is a small extra fee for setup on this option, but the value of this platform is very well worth it. Digi-cards are the most innovative and powerful download cards in the world with direct presence in over 30 countries in 5 continents and growing. Vital Digital LLC is the parent company of Digi-cards. Specific content multimedia download cards worldwide patents pending. 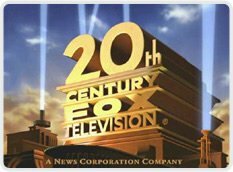 On another ground breaking deal by Digi-cards, LatinoAmerica (LATAM) CEO Luis Velez Sierra announced that 20th Century Fox studio will be available through Digi-cards shortly. After the announcement of the new incorporated system of video and movie content distribution via Digi-cards, it will not be long before other film and television studios get into the action. Digi-cards worldwide will be able to carry films and television programming legally to millions via its new Digi-cards 3.0, not only for downloads (purchase) but for rentals also. 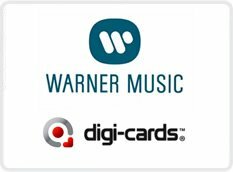 Digi-cards was the first to offer music album distribution via cards (Patents Pending) in the world 5 years ago, and now they are the first to offer movies and television programming via download cards. Vital Digital LLC, parent company of Digi-cards, said that they expect other studios to jump into this business model but praised 20th Century Fox for being in the vanguard of marketing, distribution and technology. 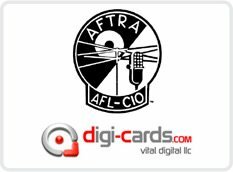 Digi-cards packages will be offered to all AFTRA (American Federation of Television and Radio Artists) with a 20% discount as a membership benefit. During the South Florida AFTRA yearly meeting, Gerardo Alton Ortega CEO of Vital Digital LLC CEO, said that Digi-cards are an important tool of self-promotion and many members of AFTRA would be benefited by them (Digi-cards). "I grew close to AFTRA since many of my clients in the past have been members. I see the effort that this union puts into giving better working conditions to many in the Radio and Television business and I believe Digi-cards can get them more exposure and more work as an important self-promotion tool. We are happy to make it more affordable to all the members to experience this new technology". AFTRA Digi-cards Member benefit will go into effect in July 2010 to all current members. DUE TO GROWTH VITAL DIGITAL LLC IS LOOKING FOR SOME GOOD SUPPLIERS AROUND THE WORLD. Worldwide demand and slow but steady growth, as well as shifting in multimedia distribution technologies, has forced Vital Digital LLC the parent company of Digi-cards to search for more suppliers based on its geographical needs. Due to the demand of Digi-cards to be delivered in the most remote places in the world, Vital Digital LLC has been forced to search for suppliers in certain regions to maintain the quality, cost, and turnaround time of its products. Vital Digital LLC has access to five official suppliers currently, three of them in Asia and two in North America. However, due to turnaround times in shipping, Vital Digital LLC is looking into the possibility of licensing a supplier in South America and Eastern Europe to produce Digi-cards. "Sometimes production cost has to give in when you talk about client production turnaround needs, we want to give to our distributors worldwide a good quality product with the fastest turnaround time possible no matter what region of the world the client is in." Gerardo Alton-Ortega, CEO, said. DIGI-CARDS WILL START AGGRESSIVE MARKETING IN ASIA AND MIDDLE EAST. 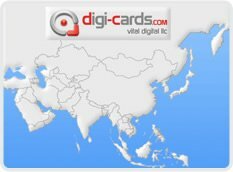 Vital Digital LLC parent company of Digi-cards announced today that it will start an aggressive marketing campaign to introduce its technologies to Asia and the Middle East. "We are very pleased with our expansion throughout North America and Latin America where we already have distributors of our products in every country, we are also getting good results in Europe and we expect to have a distributor in every country there by the end of 2010. We will slowly move east toward other markets were this technology can help in the fight against multimedia piracy as well as a better and cheaper way to distribute multimedia" Gerardo Alton-Ortega, CEO, said during an announcement. Turkey is the first Middle Eastern country getting into the action of Digi-cards, and India has signed into an LOI in Asia recently. Digi-cards are the world leaders in multimedia download cards, manufacturing with presence in over 30% of the world. DIGI-CARDS ENTER THE FILM AND MOVIE INDUSTRY WITH A RIGHT STEP. 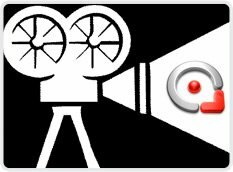 Digi-cards, the world?s leader in multimedia download cards, has entered the film industry through the red carpet. During this year′s Cannes Film Festival digi-cards launched its new Digi-cards 3.0 which contain more capacity and faster download to either Personal Computers or Mobile Devices. It also announced the new "Movie Rental feature" which will allow the digi-card user to experience a movie only during certain times (with expiration), or only a particular amount of times. It also allows previewing of upcoming films without a download option. Currently Digi-cards allow an end user that purchased digi-cards to download the film onto a Personal Computer or a Mobile device, however, this new application only allows streaming of the movie, thereby creating endless possibilities for clients. This system is already in beta testing and will launch before the end of the 2nd quarter of 2010. In what is being called a monumental deal for Digi-cards as the leader of multimedia download cards and a major multinational label was signed this week by Luis Velez Chairman of Digi-cards Latin-American SA de CV. "Digi-cards will now enter the big leagues and will be able to distribute some of the major acts in the music business worldwide, this is without a doubt the beginning of the evolution the music distribution industry is waiting for" said Gerardo Alton Ortega CEO of Vital Digital LLC parent company of Digi-cards worldwide. The Deal will include all of the Americas and will start in Mexico immediately. Digi-cards expect to follow this with Europe and Asia in the next 6 months. Digi-cards are the world leaders in multimedia download cards.